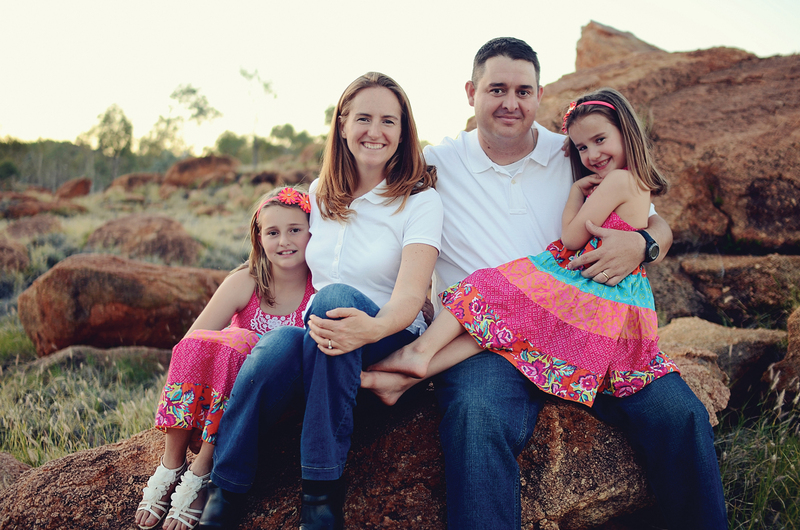 Army families are professionals at adapting and overcoming. They are able to bounce back from cross-country moves, last-minute schedule changes and multiple deployments. So what is it about finances that constantly trips them up? It can’t simply be the amount of money each soldier brings home. Even if the amount isn’t enough, it is still a set amount that can be budgeted. 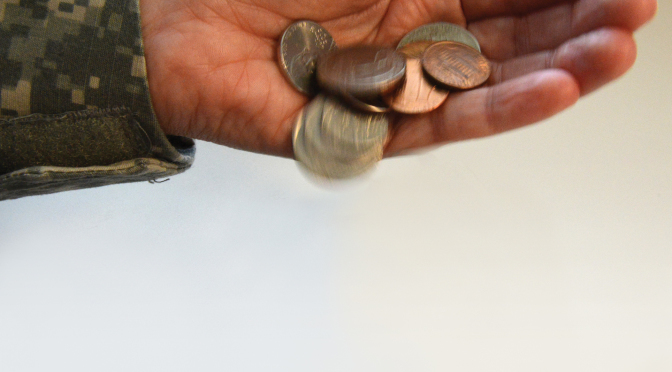 So why are so many Army families in financial trouble? Look no further than the slowdown of deployments. With over 88 percent of military members having served at least one deployment tour, 88 percent of military families have had to adjust finances before, during and after a deployment. As deployments slow down, the option to “deploy to pay off debt” went away, leaving many military families in financial turmoil. As the spouse of a senior NCO, Moe has had years of budgeting without deployment pay. Now, with five little girls and being stationed in Fort Huachuca, Ariz., with U.S. Army Training and Doctrine Command (TRADOC), finances are again a challenge. “As an Army family of seven who have been in for over 18 years, we have come to depend on the tax benefits and deployment/combat pay for the past eight or so years. That extra money helps us cushion for frequent moves and extras that come up in everyday life. On average, an extra $1,000 a month helps us out tremendously and allows us to get away from the month-to-month lifestyle that many military families face,” she said. While the Army gives allowances for moving, uniforms and housing, it often isn’t enough, she said. Moe acknowledges that deployments are long and hard but are a financial benefit. Other things can affect a military family’s financial troubles. She has searched for work, but in a small, military town, spouses are not the first choice for employment. “The thought of not having any ‘extra’ pay is frightening at times, especially with the lack of employment for spouses and the difference in cost of living and housing allowances,” she said. Seeing the debt disappear really helped the family deal with the deployment blues. At the 12-month mark, extra money kicked in, increasing their income by about $1,000 per month. “Because we were so focused on our goal of paying off debt, we were able to be truly thankful for that extended deployment because we were seeing even greater results,” Jennifer Hamrick explained. 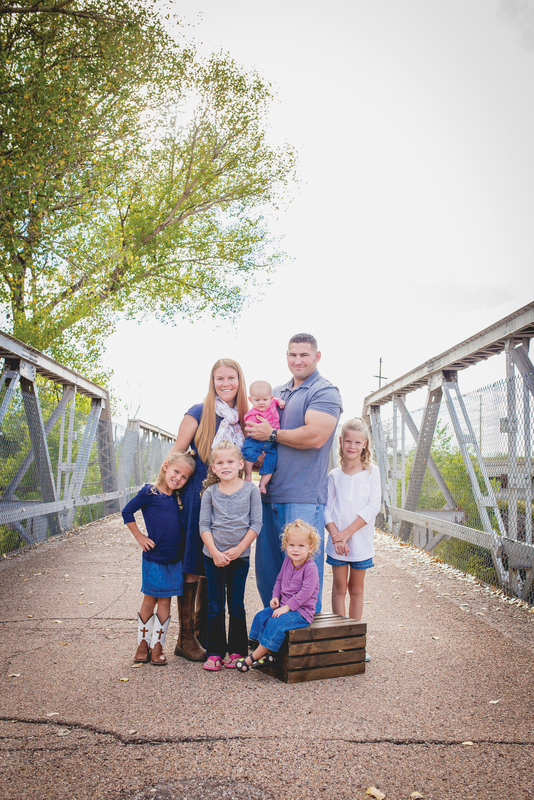 The Hamrick family was able to pay off a significant amount of debt and put itself in a stable situation during that long deployment. That was especially important in the months after deployment, when the paychecks decreased and returned to normal. 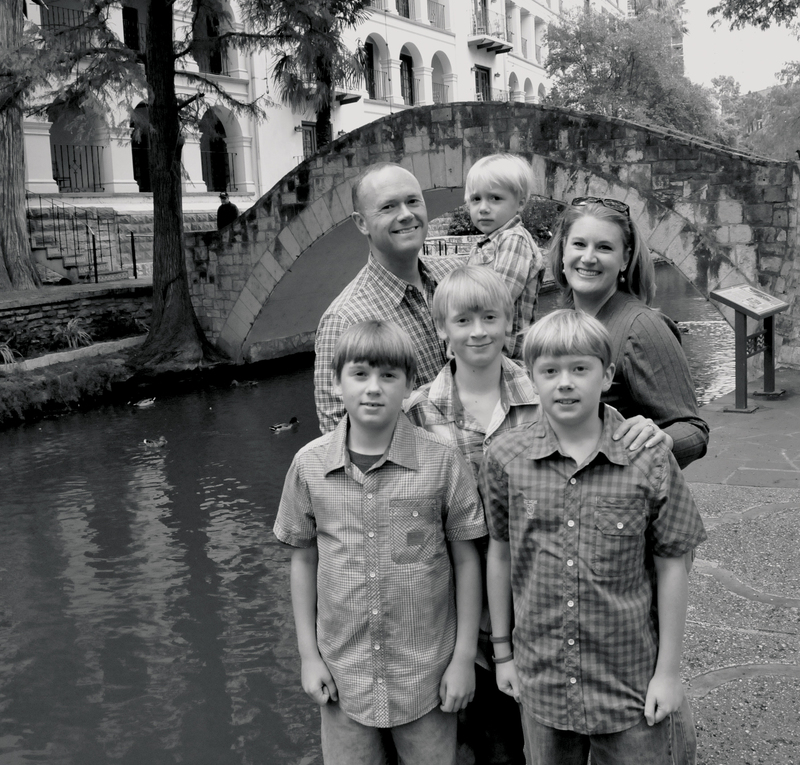 The Hamricks recently overcame their second deployment, and again, it came at a good time for them financially. They spent three years in Germany with no deployments, but with an increase in cost of living adjustment. This made the first year stateside the hardest transition they had to make. “When Matt deployed for seven months to Afghanistan, his income went back to a little bit more than it was while we were in Germany. When he got back home, it went back down again,” Jennifer Hamrick said. “I’m beginning to sense a roller coaster, and this was only our second deployment.” Matt Hamrick was then promoted to major, and their income steadied again at about what he was making in Germany. Budgeting on a variable income is a challenge, Jennifer Hamrick said. Because her family, like most Army families, is paid twice a month, she actually creates two separate zero-based budgets—in which all expenses are justified and every addition is analyzed according to cost and need—per month. But what about Army families that have maintained solid financial footing? Or those who are not noticing these effects? The Dover family said the extra money throughout past deployments was nice, but the slowdown hasn’t brought any negative financial impacts on them. Master Sgt. Roger Dover has been out of the deployment rotation since he reclassified after being hit by a rocket-propelled grenade. Since 2006, his family has not had the financial upside to deployments, but they do not feel like they’re missing out on anything. “When Roger deployed the first few times, he was an E-5 [sergeant] and E-6 [staff sergeant],” his wife Jamie Dover said. “We continue some of the same financial tactics we used during the deployments.” When her husband got promoted, they took the extra money and applied it smartly. “The last time Roger was promoted, he asked me to put the pay raise toward paying off our truck. When the truck was paid off, we started putting the truck payment into a savings account for the next time we have to buy a vehicle,” Jamie Dover said. She said, “Roger also reenlisted during one of the deployments, so his bonus ended up being tax-free. Today, he jokes and tells people that I spent his reenlistment bonus on ‘mutual funds’ and a ‘down payment for a future house.’ (He uses actual finger quotes when he tells this story.) We are weighing the pros and cons of buying a house at our next duty station. Roger jokes about finally getting to blow his reenlistment bonus.” Reenlistment bonuses awarded while soldiers are in tax-free zones were also tax-free. A lot of Army families opted for deployment reenlistments for this exact purpose. The common theme among these seasoned soldiers and spouses is to budget and live within your means, despite any changes in means. There are many resources available to Army families to help with financial insecurity, whatever the cause may be. Most importantly, don’t hesitate to ask for help before the situation gets to be too difficult.